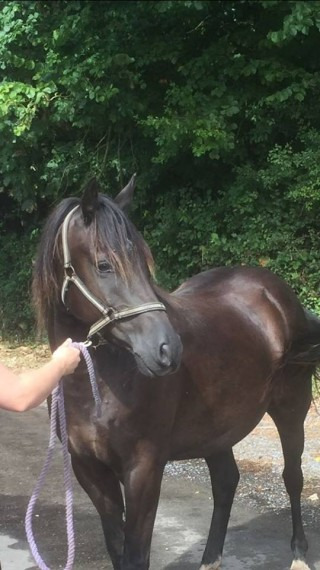 5yr old gelding 14.2hh. Good to handle, happily ties up and loves being groomed, loads and travels well, happily lives in mixed herd or has lived in. Has been wormed and feet trimmed regularly kept on a farm so used to cattle, dogs, machinery etc. Really nice kind lad who is eager to please only for sale as im cutting down to lack of time due to young children and a partner that works away. He has been with me since weaning and hope to stay in touch with whoever buys him. Clean legs but has a very small scar on the inside of his forearm. 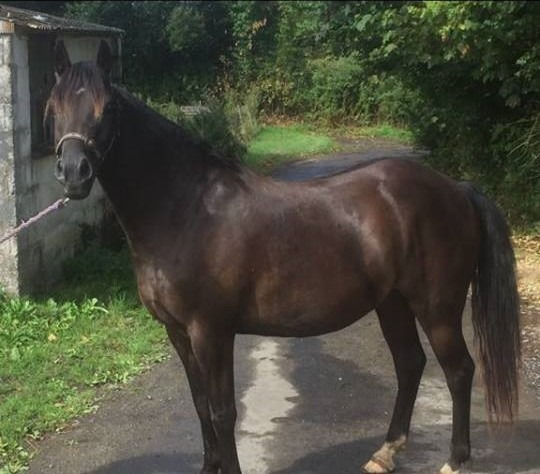 He is registered on a plain passport but is by an Anglo arab stallion out of a welsh D mare.Well handled blank canvas ready to start his ridden career Good home essential.Contact for more details if you are interested.